It was the punch heard round the pro-Trump internet. 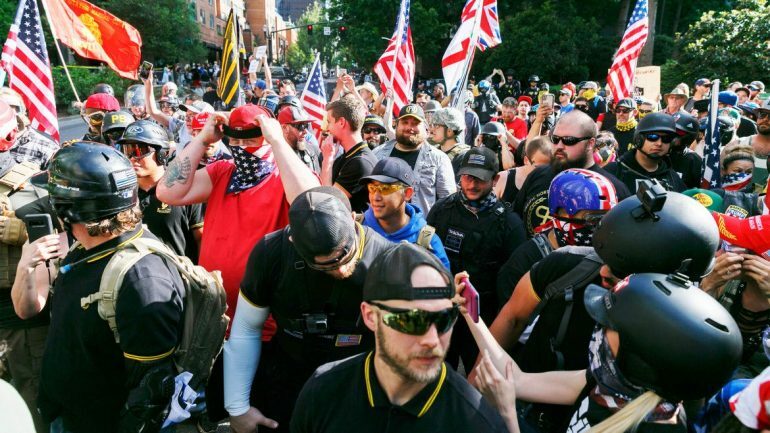 In a June melee in Portland between right-wing groups and “anti-fascist” counter-protesters, a black-clad antifa activist swung a baton at 28-year-old Ethan Nordean. Dressed in the black-and-yellow polo shirt uniform of the Proud Boys, a group of self-described “Western chauvinists” who regularly engage in street brawls, Nordean responded by bringing his “antifa” attacker down with a single punch.